This is a very simple process. It just has a lot of steps! It’s also very customizable, so you may want to play around with the numbers a bit. Let’s start! REE (you may have also heard this referred to as Basal Metabolic Rate — BMR — or Resting Metabolic Rate — RMR) is the amount of energy/calories your body needs to function without ANY physical activity at all. This energy supports necessities like breathing, cellular functions, organs doin’ their thang, etc. Your REE is how many calories you’d need to eat to stay alive while doing literally nothing. Physical activity refers to literally any activity beyond doing nothing; doing chores, walking, driving, brushing your teeth, etc. It does also refer to dedicated exercise. Things to factor into activity level are (1) how active you are in your down time, (2) the nature of your job, (3) how many times and how intensely you exercise/week. REE + physical activity + TEF = TDEE! Subtract 100-500 calories for a weight LOSS deficit, add 100-500 calories for a weight GAIN surplus, or leave it right where it is for weight maintenance. Now, what about macronutrients within that TDEE number?! Use the formula to determine protein intake in grams. Multiply this number by 4 to figure out how many calories it equals. Divide protein calories by TDEE to get the % of total calories dedicated to protein. Carbs come next! Decide what % of TDEE you want dedicate to carbs. Multiple TDEE by this % and then divide by 4 to determine how many grams of carbs. Add the % of protein calories + % of carb calories, subtract this number to determine what’s left. Fats come next! They are what’s left! Multiply TDEE by this % and then divide by 9 to determine how many grams of fats. Most importantly: make any adjustments along the way as you see fit! If the numbers seem too low or too high, adjust them!!! Why?? 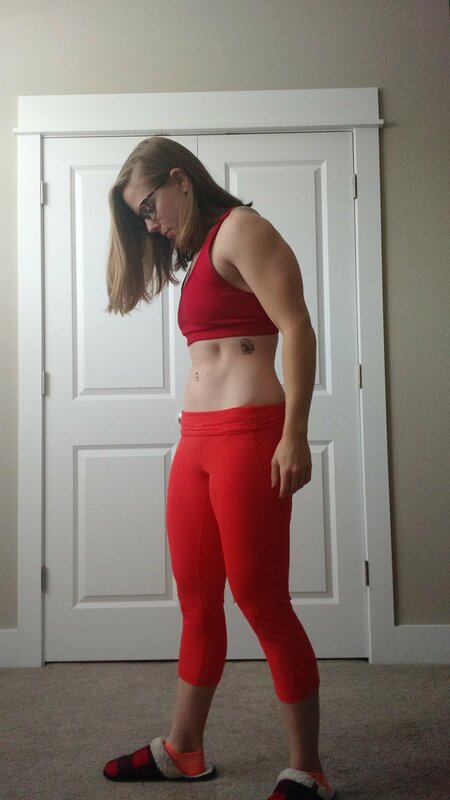 I like the idea of using bodyweight to determine protein intake, because it is more personal and likely better fit to the subject in question. I suggest a much higher intake than the RDA, because protein is extremely important in building/preserving lean mass. Eating too little of it — especially in a weight loss regimen — could lead to an inability to maintain lean mass. It is worth noting that the formula I suggest does keep within the AMDR recommended 10-35% and leans closer to the high end of that range. It is a very common movement dysfunction pattern to have tight/overactive hip flexors and weak/under-active glutes. This can FEEL like: sore quads, tight quads, knee pain, low back pain, or hip pain. It may also feel like your quads do all the work in squats, deadlifts, and glute bridges. The glute bridge is going to be the main focus of this blog, because it is very telling of this issue. A glute bridge, as its name suggests, is intended to work the GLUTES. Yet many people, including myself, will report feeling their (1) low back, or their (2) quads instead. They often report not even feeling their glutes working AT ALL! This tells you that your quads are OVERACTIVE -- aka: stealing the work -- and you glutes are under-active -- aka: not getting the chance to do the work. Lay down on the ground. See for your self if you fall into this category. 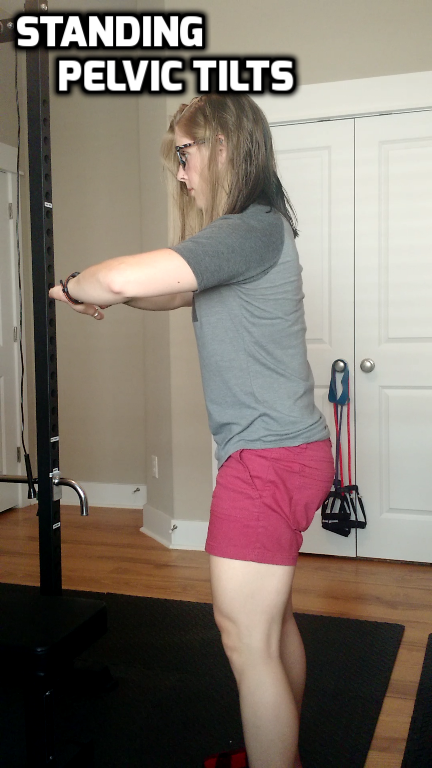 So, if you do fall into the category of my-quads-work-but-my-booty-doesn't, there are two main things you can do to improve this dysfunction -- and eventually experience some pain relief! 1. Foam roll and stretch your hip flexors. 2. Activate and strengthen your glutes. But, WHY DOES IT MATTER? If this is the case, your muscle groups are activating and firing improperly. Your quads have acquired what's called synergistic dominance over your glutes in the action of extending the hips. In other words, the quads are supposed to work in synchronicity with the glutes acting as the PRIMARY hip extensor. In this dysfunction, though, the QUADS act as the primary hip extensor while the glutes just sit back and atrophy... (very simplified). So, while you may visually be moving through the correct pattern (i.e. a glute bridge, for this example, but this extends to squats, lunges, deadlifts, etc.) your muscles are doing it improperly. Aka: just because it LOOKS right doesn't mean it IS right. Moving forward, let's say this is the case for you. Under-active booty muscles and over-active legs and back. #youandeverybodyelse #amirite Well, if you start squatting, lunging, deadlifting or really any lower body movement with faulty muscle recruitment you run a *muuuuch* higher risk for injury. And that risk goes up even more if you're doing these exercises weighted. Improper muscle activation = higher injury risk. Furthermore, you probably know that squats can be use to build dat booty, right? Well, that's only true if your glutes are firing properly in a squat. This is true for lunges and deadlifts as well. It's true, really, for any exercise that includes hip-extension. So, if you want the full benefit of the exercises you're doing, you want to be sure your muscles are working correctly. Improper muscle activation = reduced benefit from the exercise. Lay on your stomach. Make a "pillow" with your arms for your head and neck. Relax your head, neck, and upper body. Lift a STRAIGHT leg up to the ceiling as high as you can while keeping your hips on the ground. This can be done single-leg or with both legs. - First, try the glute bridge to see where you feel it. - If you feel it in your quads/hip flexors, then roll and stretch those babies! - If you feel it in your low back, still roll and stretch the quads/hip flexors! Add an additional low back stretch or two. - Perform *BOTH* of these glute activation exercises (standing pelvic tilts -> prone leg raises) prior to performing a few sets of glute bridges. - Go through this warmup before squats, lunges, deadlifts, and any other lower body exercise. - Be amazed at how much better those primary movements look and feel after properly warming up and activating your glutes. Is the KETO Diet Effective? Safe? Worthwhile? There are many diets being marketed to the general public these days. We've got low-carb, no-carb, low-fat, high-protein, low-calorie, no-sugar, and the list. goes. on. We've even got widely recognizable names like Paleo, Atkins, Weight Watchers, South Beach, and, of course, Keto. I want to focus this blog on the ketogenic diet, but we will touch on the basic principle of what makes a diet work, and that can be applied to all dieting methods. A ketogenic diet aims for almost net-zero carbs, moderate protein, and a very high fat intake with the aim of inducing ketosis within the body. 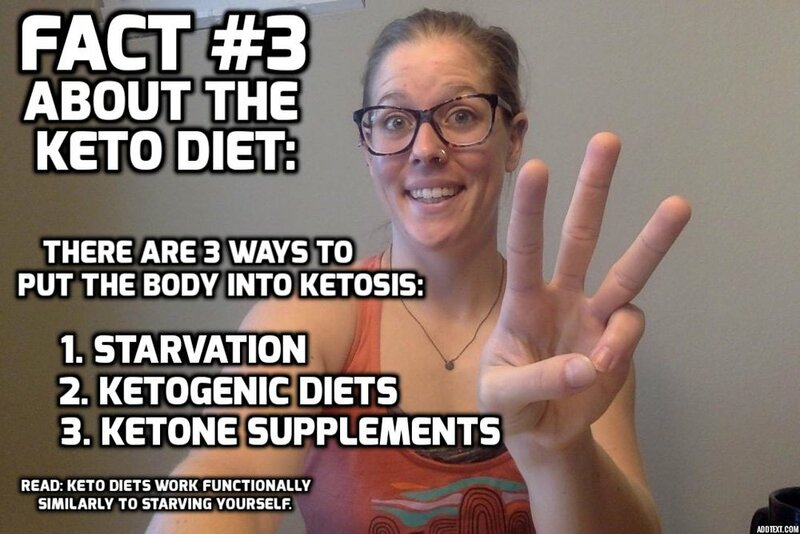 Ketosis is the whole goal of a ketogenic diet. The almost-no-carb combination with a very high-fat intake reduces your bodies stored carbs. If you aren't taking them in you aren't saving them up. And, since the body preferentially uses carbs as its main energy source, when there is a lack of carbs it must find energy elsewhere. This is where all that fat comes in! The idea is that if you deprive your body of carbs but give it ample fats then it will be forced to use fat as its main energy source instead. This has been shown to be true. When your body uses fat for energy it goes through a long metabolic process to breakdown that fat and produce ketones which are then used for energy. These ketones circulate in the blood, and ketosis is a state of significantly elevated blood-ketones. So, we can tell if someone is in ketosis by the amount of ketones in their blood. And, if someone is in fact in ketosis, we know that their body is primarily "burning" fat (rather than carbs). Is this healthy & safe? When your body goes into ketosis its normal metabolic processes are being altered. The body prefers to use carbs for energy. Then fats. Then protein. Then ethanol (yes, from drinking alcohol). And ketones for energy are on par with ethanol in this hierarchy. As Dr. Dixon and Dr. Kollias say, "just because we can metabolize something doesn't mean we should." Take this to mean that if your body could choose, it would NOT be using ketones to produce its energy. It's not ideal, and it's certainly not the most effective metabolic pathway. But, regardless, ketosis itself is not necessarily unsafe; just not instinctual by any biological means. And this whole concept is actually quite dated! It goes all the way back to the 1400's when it was observed that people suffering from epilepsy (thought it wasn't recognized as epilepsy at the time) experienced symptom-relief when abstaining from food and drink. Aka: starvation. This is perhaps the most important question. For a diet so restrictive (think about how many things you CAN'T eat if you can't eat carbs!) it must have some major benefits if people are willing to adhere to it. Right? ...Right...? And, interestingly, because of the nature of keto diets many studies have self-reported unintentional caloric deficits. This means that people on these diets have consumed less calories/day than they would have on a normal diet without even trying. This could be due to many factors but one supposed contributor is the satiation of the foods on a keto diet. But, as compared to other diets, ketogenic diets do not show greater results for fat loss. In fact, only when the protein content was significantly increased did the fat loss results of the keto diet also become significant. This leads one to believe that these results have more to do with the change in protein content than the adherence to ketogenic guidelines. Additionally important to note: the stored form of carbs (glycogen) is relatively heavy compared to stored fat. It also carries a lot of water with it -- 3 parts water to 1 part glycogen, to be exact. So, when you restrict carbs you are eliminating those glycogen stores and the water that comes with them. This alone produces weight loss. VOILA! But it's somewhat of a facade since as soon as you eat carbs again that glycogen-related weight will come right back. Ketogenic diets do NOT work in favor of sports performance or building muscle. Studies have shown that while keto diets are effective in reducing fat mass (through restriction of total daily calories) they did NOT, even in a surplus, increase lean body mass. Let's break that down... Since "calories in versus calories out" is the way to lose, gain, or maintain weight then that means two main things. (1) A caloric deficit will produce weight loss. We've already discussed this to be true for keto and other diet types. And, (2) a caloric surplus will produce weight gain. That weight could be gained as fat or as muscle, aka: lean mass. But, on ketogenic dietary restrictions, even when in a surplus LEAN MASS DID NOT INCREASE. This means that all of the weight gain produced was fat mass. And, THIS means that if you're on a keto diet and accidentally eating too much all you're gaining is fat. Studies also showed that ketogenic diets produced no increase in performance but did result in a slight decrease. In contrast to this, high-carb (non-keto) diets led to a significant performance increase. This makes logical sense if you consider that carbs are your body's preferred fuel source, so when provided with them making energy is more effective, therefore energy is more abundant, therefore physical activity is better supported and performance has room to improve. Other than diminishing your lean body mass and reducing your performance in the gym? Yes, there is the potential harmful effect of ketoacidosis, which is an increase of blood-ketones to unsafe levels. This alters the pH of the blood and can potentially be life threatening. It is rare and probably not to be worried about simply from dietary choices. (Blood-ketone levels plateau ~2 weeks into a keto diet.) Ketoacidosis is a medical condition most common in those with type 1 diabetes whose bodies do not produce any insulin. I don't mean to include this as a scare-tactic but simply to inform you that this IS something that exists. It's rare, but it's real. If it makes you weary I'd urge you to do your own research to determine for yourself if it's a risk you're willing to take (or if you'd even consider it a risk) if you're considering a keto diet. An adverse effect that is more prominent is the incredible restrictiveness of this type of diet. You can't eat grains, breads, pastas, legumes, beans, fruits, oats, most processed foods, most deserts, most dairy products, and the list continues... And here's a pretty inclusive rundown of what you would be eating on a keto diet: red meat, bacon, and other fatty meats, butter, egg yolks, nuts, oils, avocado, and cheese. And, lastly, there is the adverse effect of what's referred to as the "low-carb flu." 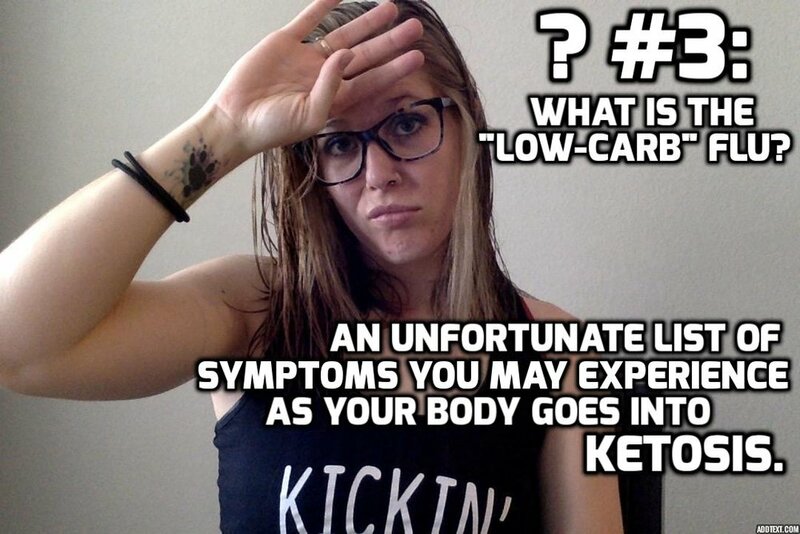 When you go into ketosis you will very likely experience the side effects of lethargy, digestive upset, bad breath, muscle cramps, sugar cravings, and drowsiness to name a few. Luckily, though, you can expect these symptoms to largely diminish over time as your body adapts. These flu-like side effects combined with the restrictive nature of the diet result in very low adherence. This isn't necessarily an adverse effect, but it's certainly a drawback. Adherence to a diet is imperative in order to garner results. Are there situations when a keto diet is recommendable? Sure! If you have been suggested a keto diet by a medical professional for epilepsy, another neurological disorder, pre-diabetes, diabetes type 1 or 2, or something else your doctor thinks could benefit from the macronutrient ratios of a keto diet, then YES. By all means, follow the diet. And, lastly, if you *like* the foods available to you on ketogenic restrictions and wouldn't mind taking out the grains and other carbs, then I see no reason why not to give keto a try. Again, the highly satiating effect of keto tends to produce a caloric deficit even unintentionally, so the diet does work for weight/fat loss. If it fits your preferences, go for it! And, if keto isn't the answer? That's a fairly limited list of situations in which a ketogenic diet may carry benefit over other diet types -- medical reasons, gluten restrictions, and/or basic preference. So, what other types of diets are there to try? And are they effective? There are diets that adjust a certain macronutrient like keto does. You could try a more modest version of keto with a basic low-carb diet. Or, if that doesn't float your food-preference boat, you might try low-fat. If you're trying to build muscle while also dropping some body fat then high-protein is probably a better option for you. These diets would require nutrient tracking to make sure you're hitting the correct intakes. There are also diets that don't worry about macronutrient ratios at all like intermittent fasting and IIFYM (if it fits your macros). These diets work solely on the calories in versus calories out principle without any regard for the composition of the foods being consumed. These diets would also entail nutrient tracking to ensure that total calories don't exceed a certain amount. Then you've got diets based on rules such as 'no eating fast food,' 'no soda,' 'no alcohol,' gluten-free, dairy-free, vegetarian, etc. These diets are also based on restriction and work off of the calories in versus calories out principle but generally do not involve having to count the calories. Rather they rely on the set rules to naturally limit overall intakes. And, lastly, there are hybrids of the options listed above. Say, a schedule of intermittent fasting with high-protein intake during feeding hours. Or, maybe IIFYM paired with the rule of no fast food, just to name a couple quick examples. So much of dieting -- and especially doing so successfully -- comes down to personal preference, schedule, lifestyle, etc. If you pick a diet that doesn't jive with your life it probably won't last, and it if doesn't last then it most certainly won't work. And, since that article leaves out the flexible dieting strategy of IIFYM, here's an entire book on the topic for your perusing pleasures! IT PROBABLY WON'T HURT, AND IT MAY EVEN PRODUCE THE RESULTS YOU'RE LOOKING FOR. - Keto diet works for the same reason other diets work: daily caloric restriction. But, they show no *benefit* in reducing fat mass over other types of diets. - Medically recommended/supervised keto diets, those who are gluten free, and those who just prefer the foods on a keto diet would do well to give it a try. IF YOU ARE AN ATHLETE OF ANY TYPE, TRYING TO BUILD/PRESERVE MUSCLE MASS, OR IF YOU DO NOT WANT YOUR PERFORMANCE TO SUFFER STEER CLEAR OF KETO DIETS. - Ketogenic diets show performance reduction and even when eating a surplus of calories do NOT produce lean muscle mass. "Get Rid of Stubborn Fat Fast!" Spot fat reduction is not real, and it is therefore an ineffective way to train. What IS spot fat reduction?? It's the idea that if you train a certain set of muscles then the fat around those muscles will be lost in a higher priority than the fat elsewhere on your body. For example: doing sit ups and crunches to lose belly fat, doing tricep exercises to lose upper arm flab, or side bends to lose love-handles, etc. I like Nick Nilsson's pool analogy from the following article: fat loss is similar to draining a pool. Let's say we've got a shallow end of 3 feet and a deep end of 7 feet. When draining the pool we can't selectively take water out of just the 7 foot deep end. The water drains from the ENTIRE pool. The ground begins to show in the shallow end first, but as we continue draining, eventually the ground will also show in the deep end. Fat loss in our bodies works similarly. I'll give a very crude explanation. Our body needs fuel to support physical exercise. This fuel comes in the form of what's called ATP (adenosine tri-phosphate). Our bodies make ATP from the nutrients we consume (proteins, carbs, fats). How does it do this? It takes those nutrients and breaks them down into their smaller components -- a process called metabolism -- and then uses those components create the needed ATP. In the instance of triglycerides (aka: fat), which is made up of glycerol and fatty acids, the body must first break the fat molecule down into those glycerol and free fatty acid components and then release them into the blood stream before they can be used to create the necessary energy. As mentioned, our body can create ATP from proteins, carbs, and fats, and it can get this energy from anywhere in our body. Just because we're working our abs does NOT mean that the energy we need to do those sit ups is being supplied just by the fatty deposits around our ab muscles. Instead, it's coming from all over, and there is no way to target one single area for fat loss. As mentioned, energy comes from what we consume whether it's carbs, fats, or proteins. All three of these macronutrients can be (1) used to create the energy needed for exercise, as we've thoroughly established, or (2) stored in the body as either lean mass or fat mass. Most simply: when we are eating our bodies are storing, and when we are exercising our bodies are "burning" (aka: creating energy). But the building blocks for storage and the building blocks for creating energy are all the same -- CARBS, FATS, and PROTEINS. Well, because our bodies are pretty damn smart and pretty damn bent on survival, they prefer to reap energy from our lean muscle mass first, because muscle is metabolically expensive!! In other words, it requires more energy from the body to maintain lean mass versus fatty mass. This means that, as our muscle mass increases, so does our metabolism. (That should sound familiar as a commonly sited benefit of strength training; more muscle = higher metabolism!) Well, our body doesn't WANT to spend that extra energy if it doesn't have to, so it will preferentially burn off its lean mass to avoid the expenditure. It gets rid of what it thinks it doesn't need. We must make our bodies think that our lean mass is necessary to its survival. What better way to do this than with regular, progressive weight training?! (Hint: there isn't one.) When you lift weights on a regular basis your body will preserve the muscle it needs to support this activity. And, to build muscle you must progressively overload your training (aka: do MORE every time). This is still my all time favorite article on muscle building. Give it a read if you're interested! But, let's get back to the topic at hand: fat loss. As we've established, in order to lose fat from one particular spot on your body you must resign to losing it all over your body. (Not such a bad thing!) And how do you accomplish this? You must SPEND more calories than you CONSUME in order to lose weight. And, as discussed, in order to lose fat mass instead of your hard-earned muscle mass, you must incorporate strength training. My suggestion for burning calories efficiently while also incorporating strength training would be HIIT (high intensity interval training) workouts. This allows you to elevate your heart rate to varying levels for an efficient calorie burn. It allows you to use weighted exercises to build muscle and get stronger. And it only takes 30-45 minutes when done correctly. AND, you don't have to run!! HIIT really hits all the nails on the head when it comes to burning calories and gaining strength, which is really what fat loss comes down to. If you've made it to this point in the blog, good for you and thank you for reading! I hope you'll take this information to heart and use it to more effectively reach your goals. Otherwise you'll keep doing hundreds and hundreds of crunches, get no closer to that 6 pack, find yourself feeling frustrated, and probably throw in the towel. Well, maybe not this EXACT scenario, but you get my point. Targeted exercises are not the answer for fat loss. SPOT FAT REDUCTION IS NOT REAL. In order to lose fat in one place you must lose it everywhere. THE WAY TO LOSE FAT IS TO BURN MORE CALORIES THAN YOU CONSUME. This is accomplished by (1) controlling your diet, and (2) exercise! STRENGTH TRAINING IS ESSENTIAL TO FAT LOSS. Your exercise regimen should allow you to both burn calories AND build muscle in order to most efficiently lose fat (and keep it off!). What do all these colors and numbers and percentages mean?!? Lots of gyms are implementing the tool of heart rate training these days. The two most prominent ones in my mind are Orange Theory and the gym I work for, 9Round Kickboxing. It really is a valuable thing to know and understand while you're working out so that you can get the most effective workout possible. But, like, how the heck does it work..? Heart rate monitors measure your actual heart rate, your calories burned, and your percentage of your maximum heart rate throughout your workout. These zones vary from device to device -- some have 4, some have 5, some are blue, some are yellow, etc. -- but the idea of increasing levels of intensity is the same. As you approach the higher end of the zones you are working closer and closer to your hearts maximum potential. The zones are ordered by the percentage of your VO2max, which is your heart's maximum capacity to pump blood out and supply oxygen to the body/muscles. Obviously, there is a cap. At some point your heart can't pump anymore any faster. And, as you can imagine working too closely to this cap too often can be really tough on your body -- and your heart, specifically. Using a device to track your heart rate in real time allows you to adjust the intensity level of your workout to avoid working too hard for too long and, of course, to work hard *enough* to reap the benefits. It gives you a tangible number to work with (rather than just guessing), and of course having your calories counted is a great motivator. The image above gives a good, brief explanation of each zone, and I really like the analogy of a car... Imagine driving a car at 100+ miles an hour all the time. (Aka: running it very near it's maximum. Think of this like being 90% of the car's VO2max.) Yes, the car CAN do it, but it puts a lot of undue stress and wear and tear on the engine. It's certainly not in the best interest of the longevity of the vehicle. Well, your body is much the same. Yes, it CAN perform at maximum capacity all the time if you force it to, but it's making a lot of sacrifices to do so. Your body is adaptive, and it's sole goal is survival. So it will find ways to survive like using alternate fuel sources, forcing you to stop by shutting down and causing you to pass out, etc. It's quite counterintuitive, actually, to work in the 90%-100% for most or all of your workout. (This is not to say you should never touch this zone. But you should do so carefully, intentionally, and incrementally.) To avoid injury, overtraining, nausea, fainting, illness, and burning off all the muscle you're working so hard to build, you'll want to limit the amount of time spent in that top zone. The workout itself that I did was 30 minutes long, and you'll see that my total workout time on this feedback graph was 37 minutes. This time includes a few minutes prior to and after the workout where I was either getting ready to start or letting my heart rate recover back to resting. Let's examine it! A snapshot of one of my own workouts using heart rate training technology. There are 3m19s spent in the grey zone. This is a non-working zone. Aka: you are either just starting your workout or it's over. There are 2m13s spent in the blue zone. This is the warm-up/cool-down zone. Aka: your blood is pumping, but your either ramping up for your workout or coming down from it. These two zones don't provide a huge amount of benefit cardiovascularly or for muscle strength/endurance, and you won't burn many calories in them. They are simply phases you must pass through in order to get to the working zones. There are 14m02s spent in the green zone, the first of the working zones. This zone entails a moderate level of exertion. You're breathing, you're sweating, but you're not overworking. Your body uses oxygen to create energy in this intensity range (aerobic exercise) and is benefiting cardiovascularly. This is a great zone to workout in for endurance, hearth strength and health, and to burn some calories. There are 17m21s spent in the yellow zone, or what I call "the SWEET SPOT." This is zone where you're benefiting the most! You're breathing heavy. You're starting to drip sweat. You're feeling challenged. You may have to stop and take a quick break. Your body is still using oxygen to produce energy here (at least for the lower portion of this zone), and working at this intensity level can improve strength, endurance, and cardiovascular capacity. Since you're working a bit harder now than in the green you are burning more calories, and as a result, you're burning off more fat here than in the green zone! Lastly, there are 22s spent in the red zone. This is the highest intensity range. You are beginning to struggle for breath. Your muscles are feeling extremely fatigued. Speed, coordination, and agility are beginning to decline (aka: form is getting sloppy). These effects are exaggerated as you climb closer and closer to the top of this zone. Your body is now beginning to acquire its energy anaerobically, which means it is no longer using oxygen. It needs a quicker pathway for energy, because you are burning it off so quickly. In this zone you will be burning more calories than in the green or yellow, but if you spend too long here your body will begin to source its energy from protein... Read: your body will begin using your muscle to fuel itself, which is no bueno. We work so hard for our lean muscle mass. We don't want to be burning it off!! Now, with all that being said, there are benefits to spending small bursts in this zone. It can greatly improve sports performance, power, reactivity, and, honestly, mental grit. When used appropriately it can also increase hearth strength by pushing it to its max capacity briefly and then quickly allowing it to recover. As mentioned multiple times, you do not want to spend too much time in this top zone! The snapshot of my workout above is extremely ideal when it comes to heart rate training. I've got an adequate amount of time warming up and cooling down in the grey and blue zones. I spent the majority of my working time in the green and yellow zones pushing myself appropriately. And I spent the least amount of time in the red zone -- and that 22 seconds was definitely achieved by separate short bursts -- in order to improve my overall performance and power as an athlete. Heart rate training can shed light on exactly how hard you're working while you exercise. If you feel like you aren't seeing results maybe you're not working hard enough, or maybe you're working TOO hard. But until you actually see the numbers it's hard to tell what adjustments you need to make. The biggest benefit of wearing a visible monitor during your training is being able to control your heart rate in real time. You hit the red? Let yourself recover! You've been in the green for 5 minutes now? Push a little harder! You're yellow? Keep doing what you're doing! And so on and so forth.